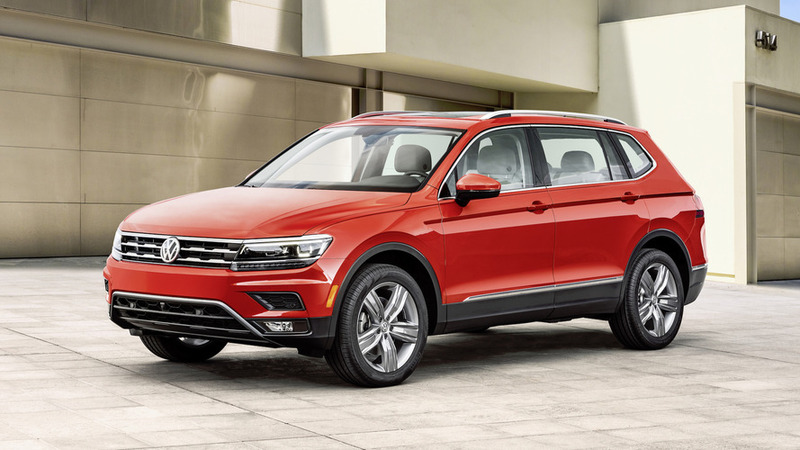 Volkswagen’s latest Tiguan already features handsome, chiseled styling, but buyers that prefer a slightly more aggressive demeanor should take a look at the new R-Line appearance package for the new compact crossover. The upgrades will debut at the 2017 Los Angeles Auto Show and will be on sale in the first quarter of 2018. The package includes a sporty front fascia with larger intakes stretching across the crossover’s broad front end, and it uses plenty gloss black trim. The rear features a simulated diffuser and also has lots of shiny, dark accents. 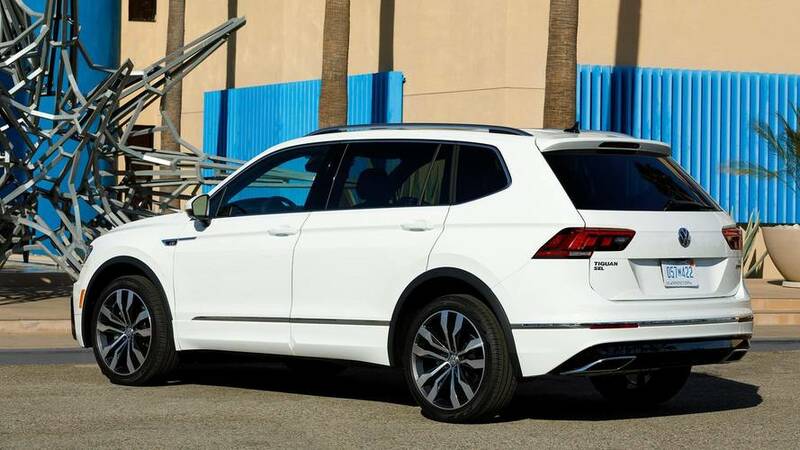 The body-colored fender extensions and side skirts make the Tiguan appear to be wider and to sit closer to the ground. Inside, it would be impossible not to know the crossover doesn’t have the R-Line package because special badges for it adorn the steering wheel, infotainment system’s start screen, and stainless steel doorsill plates. The cabin also features a black headliner and stainless steel covers for the pedals. 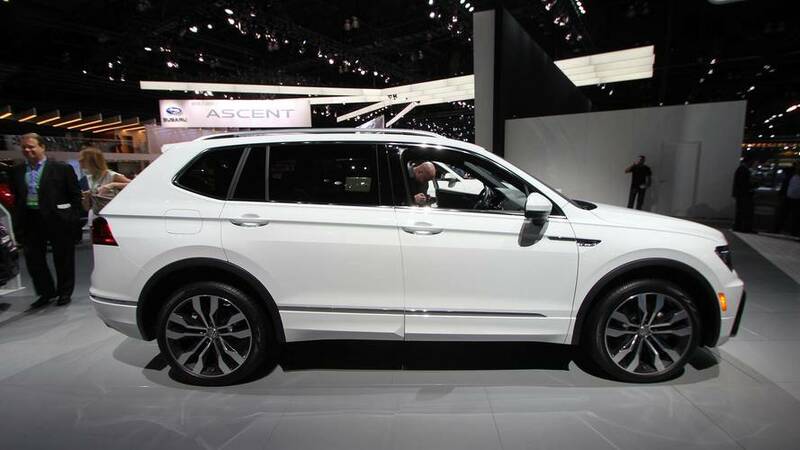 The R-Line package will cost $1,795 on the SEL trim where it will also include a set of 19-inch wheels and Park Distance Control at the front and rear. The option will go for $1,495 on the SEL Premium where the pack will include 20-inch wheels. The parking sensors are already among the standard features on this grade. 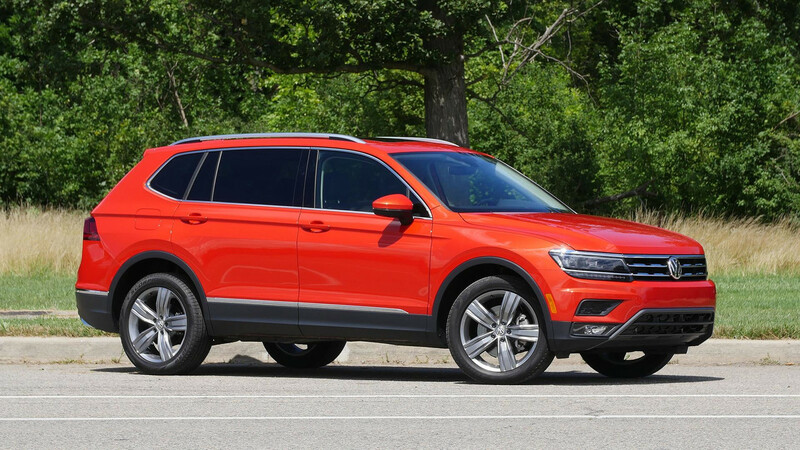 Like the rest of the 2018 Tiguan lineup in the United States, the R-Line will come with a 2.0-liter turbocharged four-cylinder making 184 horsepower (137 kilowatts) and 221 pound-feet (300 Newton-meters) of torque. It’ll route through an eight-speed automatic gearbox to a standard front-wheel-drive setup or an optional all-wheel-drive system. The drivetrain has received poor marks, including Motor1.com Managing Editor Steven Ewing noting in his review: "a noticeable lack of thrust when pulling away from a stoplight." Motor1.com will have a team at the LA Auto Show. Expect live photos of the Tiguan R-Line and all of the other debuts from there. Herndon, VA (November 28, 2017) — Volkswagen of America, Inc. announced today that it will offer the R-Line® package on the 2018 Volkswagen Tiguan. The new trim package augments the all-new SUV’s sportiness with interior and exterior design elements that give it an even more dynamic appearance. The Tiguan R-Line package will be introduced at the 2017 Los Angeles Auto Show. The R-Line package enhances the robust list of equipment in the Tiguan SEL and SEL Premium trims with performance-inspired treatments. The sporty exterior styling details include 19-inch “Trenton” aluminum-alloy wheels for SEL trims and 20-inch “Braselton” aluminum-alloy wheels on SEL Premium trims. Also included are R-Line badging; unique front and rear bumpers that incorporate stylish air intakes at the front and a diffusor in glossy black paint at the rear; and body color wheelarch extensions and side skirts. Inside, the Tiguan R-Line models welcome drivers with the R-Line logo on the start screen of Volkswagen’s Modular Infotainment Platform (MIB II). Other interior features include an R-Line steering wheel badge; black headliner; stainless-steel sport pedal covers; and stainless-steel door sills with the R-Line logo. Like the standard Tiguan model, the R-Line will feature Volkswagen’s 2.0-liter TSI® turbocharged engine and eight-speed automatic transmission. Volkswagen’s advanced 4Motion® all-wheel-drive system is available as an option. The R-Line package on SEL trims has a MSRP of $1,795, and includes front and rear Park Distance Control (ParkPilot). The package MSRP for SEL Premium models (which already include ParkPilot) is $1,495. The Tiguan went on sale this summer and the R-Line package is expected to go on sale in the first quarter of 2018. About Volkswagen of America, Inc. Founded in 1955, Volkswagen of America, Inc., an operating unit of Volkswagen Group of America, Inc. (VWoA) is headquartered in Herndon, Virginia. It is a subsidiary of Volkswagen AG, headquartered in Wolfsburg, Germany. VWoA’s operations in the United States include research and development, parts and vehicle processing, parts distribution centers, sales, marketing and service offices, financial service centers, and its state -of-the- art manufacturing facility in Chattanooga, Tennessee. The Volkswagen Group is one of the world's largest producers of passenger cars and Europe's largest automaker. VWoA sells the Atlas, Beetle, Beetle Convertible, CC, e-Golf, Golf, Golf Alltrack, Golf GTI, Golf R, Golf SportWagen, Jetta, Passat, Tiguan, Tiguan Limited, and Touareg vehicles through more than 650 independent U.S. dealers. Visit Volkswagen of America online at www.vw.com or media.vw.com to learn more. Notes: This press release and images of the 2018 Tiguan are available at media.vw.com. Follow us @VWNews “4Motion”, “R-Line”, “TSI”, “VW”, “Volkswagen”, all model names and the Volkswagen logo are registered trademarks of Volkswagen AG. All other trademarks are the property of their respective owners. Features and technical data apply to models offered in the USA. They may differ in other countries. All prices listed are the Manufacturer’s Suggested Retail Price and exclude transportation, taxes, title, options, and dealer charges.